Chin wasn’t teaching spinning this morning so mom mentioned going to Bikram yoga. I hadn’t been since Mark and I were in Lake Placid! I really wish someone would open a studio in Syracuse. 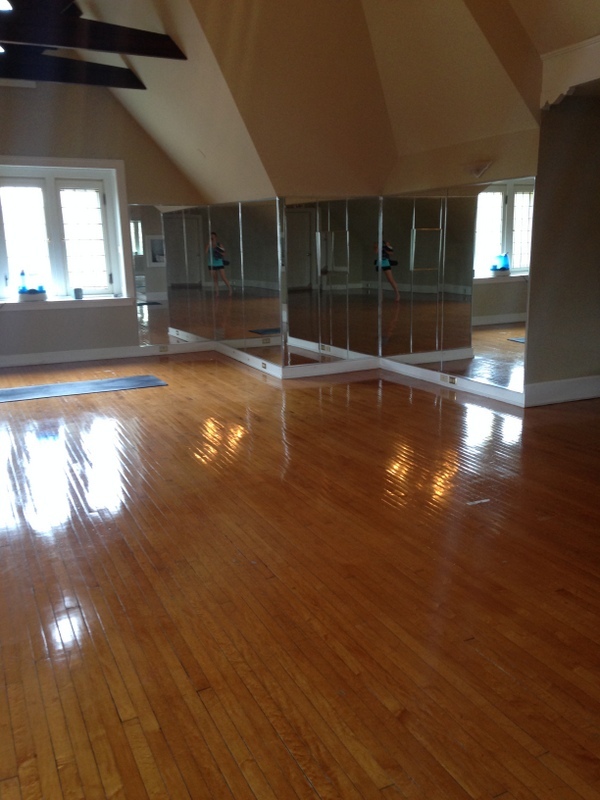 The closest studio to Syracuse is in Oswego, NY called Bikram Yoga Oswego. It’s about a 45 minute drive. I love going but that drive is so long. During the winter, the whole drive is in the lake effect snow band, so it’s not always a safe drive. We left home a little before 8:00 a.m. and arrived around 8:45 a.m. We paid our drop in fee of $18 and went into the studio. I love walking into the studio because the heat hits you like a ton of bricks. 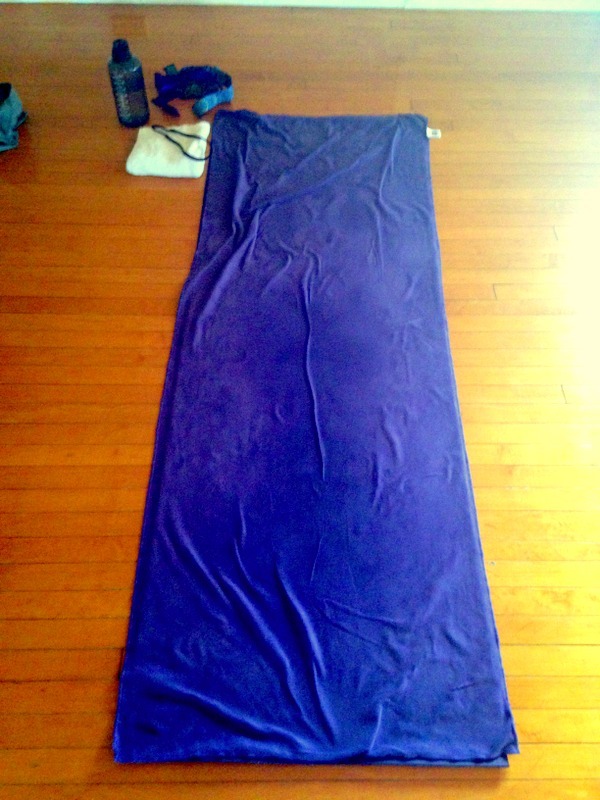 According to my blog title, I love to sweat and Bikram helps fulfill that love! If you have never taken Bikram, its a 90 minute class of 26 poses beginning and ending with different breathing techniques. The room is at least 105* with high humidity. Their studio is beautiful! It is in an old building that has a lot of character. I had a tough time holding the poses today. My darn hips are so tight. It’s also hard to improve at Bikram when we don’t have a studio close by. If we ever get one, I will purchase a membership. I know I didn’t drink enough water yesterday and that did not help during class. I only drank about a quarter of my Nalgene. You learn that you just don’t take a drink when you feel like it. You do so when instructed. Sweat literally pours down my face and it gets into my eyes and screws with my contacts. I try not to reach for my towel after every pose, only when I can be quick about it. I just worry that I am going to lose a darn contact and that would be bad as I can’t see ANYTHING without them. Mom and I made the trek back to Syracuse, made some smoothies and now I am writing this post and watching the Ironman World Championships. So far the professionals are out of the water and on the bike. I was hoping that Luke McKenzie was going to win for the males, and I didn’t have a pick for the females. I love Linsey Corbin, she is from Montana and always finishes with her cowgirl hat. LOVE it. I don’t know if she can pull it off this year. She came out of the water a little later than the first women. I can’t imagine the pressure all of these professionals have on themselves. It’s a huge pay day for whoever wins, but also sponsorships! I know it’s a dream for every Ironman distance lover to go to Kona. I have a feeling that I will need to pay to do 12 Ironman’s for my slot, or I need to find an Ironman that no one shows up to and maybe I would have a chance. Those chances are still slim to none. A girl can dream (or pay Ironman 12 times for a full-distance). Not sure what Mark and I have planned for the rest of the day. Watching the Ironman here and there. We do need to go to the bike shop so that I remember how to use the computrainers and the program. My 5:45 a.m. class starts on Monday. I can’t believe I am going to be up at the hour. AH!